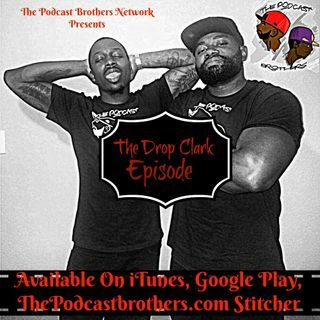 Ya boys are back with episode 40 aka The Drop Clark Episode. This episode we let the Grey Goose do all the talking. Topics include Jay-Z and his new Live Nation Deal... Can Jay Tour for the next 10 yrs without new material? If your Favorite rapper wore a romper would you? Should you ... Maggiori informazioni and your partner have the same hobbies? Jay z Signs a 10 yr Ext. Is the Mayweather/Mcgregor fight a circus or a legit fight? The Lavar Ball debate. Did he go too far? Who should die 1st, Kanon or Angela? What if your Fav rapper wore a Romper... would you? Is your Partner doing to much in the relationship?